The little black wool scrap insisted on being a chicken, a french hen. It’s a good day for small cosy projects, for stitching little dolls and boats, pocket size things. There was nothing I would rather do today, nothing more appealing than meandering my way through some little projects. Some for gifts, some for ornaments and a few little things for the shop in December. I had intended to just sew for an hour or two early in the morning but I could not put it down today and there was no real reason to. I remained happily lost in the little details and all of a sudden the sun was going down. All you need are scraps. And a sewing machine. It is the kind of thing you could lose yourself in, the next thing you know hours have gone by and there are miles of it. It’s a meandering process and an invitation to happy accidents, there are no mistakes, it is not careful (except keeping your fingers away from the needle) and there is no planning. The perfect thing if you are feeling the need for something spontaneous. Just start and keep adding stuff. My approach was pretty bare bones and I had lots of fun. What is your scrap situation like? I’ve got tons and lots of it very small. I dumped the whole thing out and started pulling out the tiniest scraps, the un-sewables, the little whispers I can’t let go of. Start with one piece, add another and another, machine stitching through the whole thing, sometimes bunching or curving the little pieces. I can’t stop. 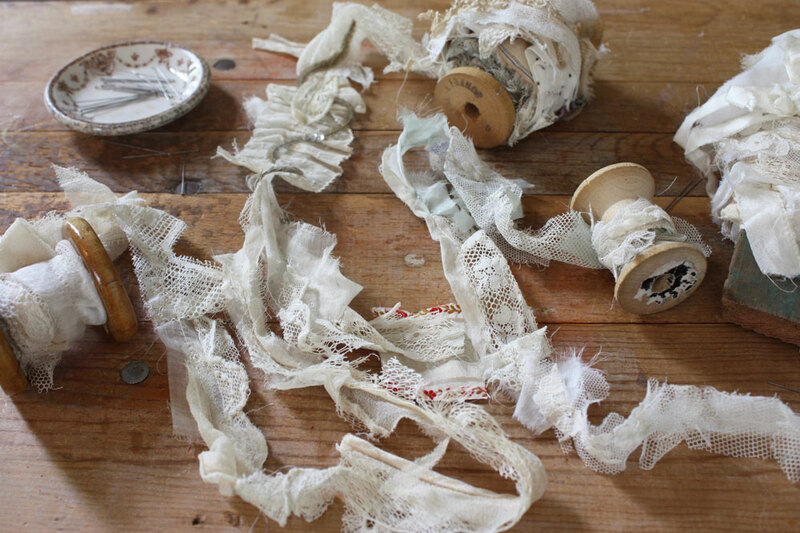 And they don’t need to be lace, I’ve got cotton scraps too and I’ll try those next. And you can add other stuff and get super intricate and detailed – find a tutorial here. You could use the garlands for packages or hang them (maybe with some twinkle lights and paper mache ships) or stitch them onto doll clothes or your clothes or make a crown for somebody little. I made a mini one to use as a roiling sea for this little boat. Find the free mouse pattern here and the free little boat pattern here. Suddenly a chicken appeared! Or more specifically a hen, a french hen. 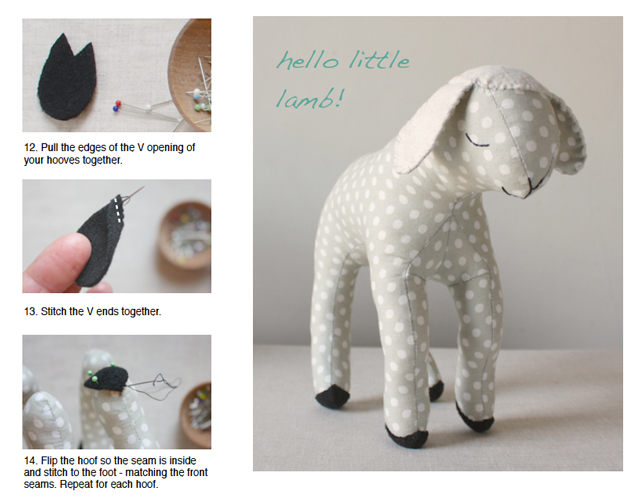 It occurred to me that maybe the merry wobbler sewing pattern could be modified to make a hen – and it can! Of course they need nesting boxes too and I created a little template and tutorial on how to make the box and modify the wobbler. Both are super simple – find the template and instructions below after lots of hen pictures – I couldn’t help it – I love them. You can download the template for the nest box and hen parts here. And you will also need the merry wobbler sewing pattern or, if you like, come up with your own bird to chickenize. Other supplies are: felt for hen parts and the nest, a glue stick, cardboard and embroidery thread- I’m using dmc 8. 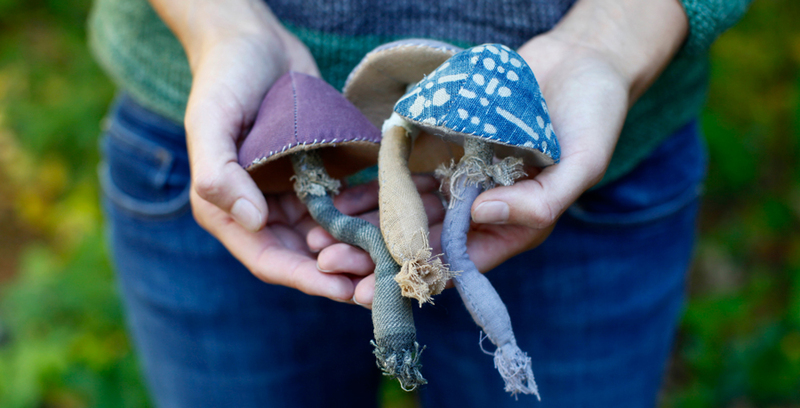 The forest folk pattern is in the shop. Little creatures that fit in the palm of your hand and are cozy in your pocket. 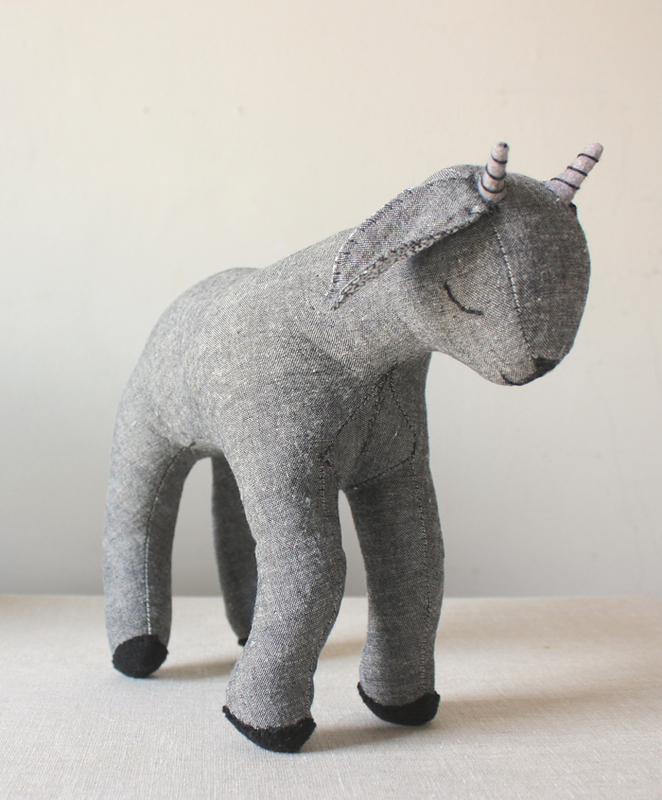 I’m so excited to share this pattern with you – it is a satisfying project to make and, if you are inclined, a jumping off point for making all sorts of other creatures. The pattern has full instructions for a bunny and squirrel and with little modifications to the fabric colors and tail and ear patterns you could create skunks, beavers, gophers,chipmunks! raccoons….. you get the picture. I’d love to see what you make and you can send photos to ann at ann wood handmade dot com. 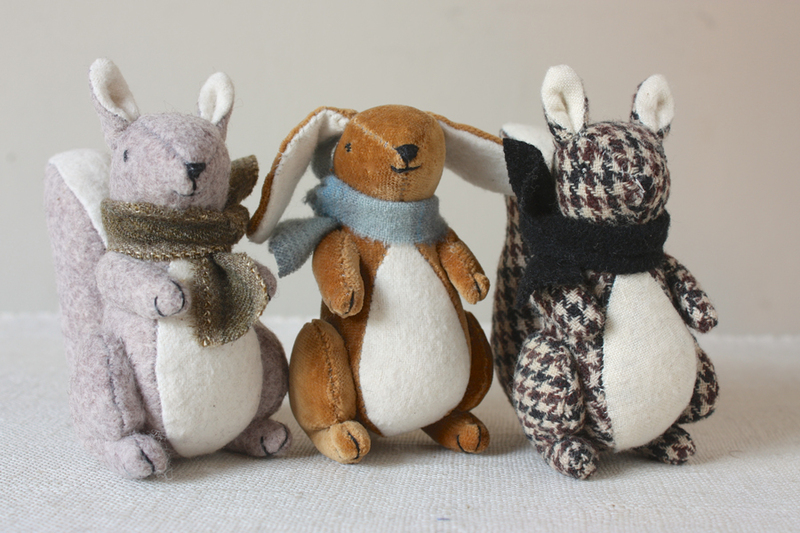 The squirrels and bunnies can be hand or machine sewn – I think hand sewing is best for beginners and it can be a nice travel project- I’m making lots for gifts this year – I pack up some cut pieces and sew them on the subway. 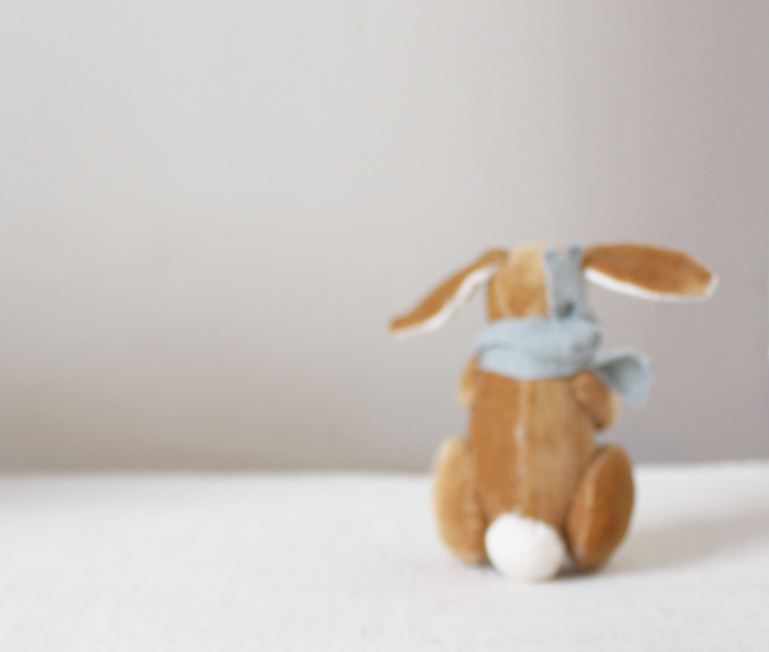 The little bunny in the center is made from a worn cotton velvet that started its life with me as a skirt when I was in my twenties. About 15 years ago it became a pillow cover and now it’s becoming a flock of little velvet bunnies because who doesn’t need a little velvet bunny? The velvet was more difficult than wool to sew but I couldn’t resist it. 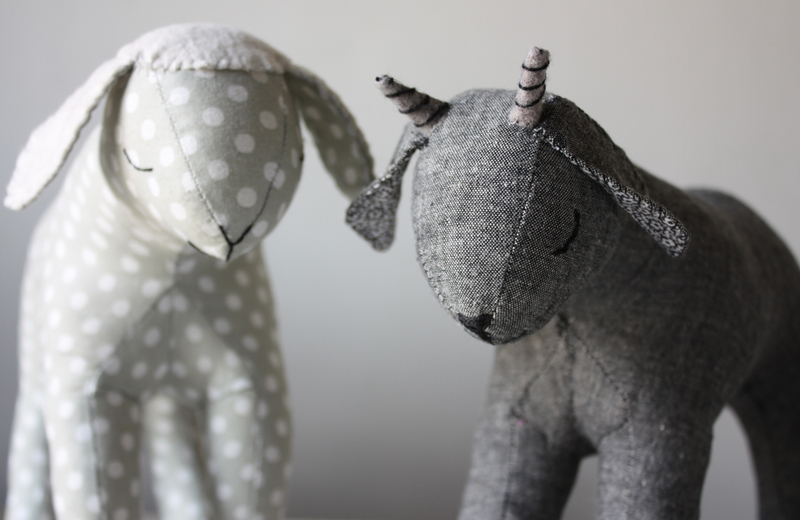 (These creatures and some others are in the shop now if you are not inclined to sew your own). 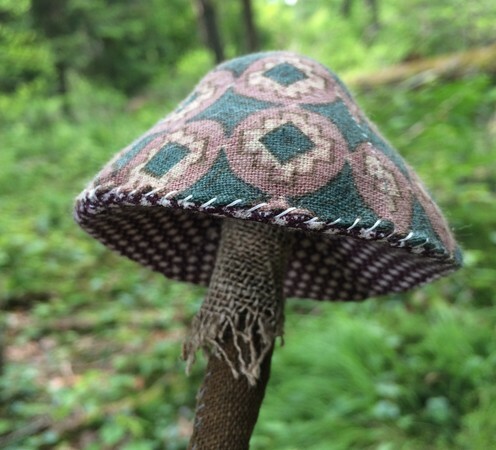 If you make mushrooms I’d love to see – I’m @annwood on instagram if you’d like to tag or you can use #annwoodmushroom. Or email if you like to: ann at ann wood handmade dot com. I hope you make mushrooms! 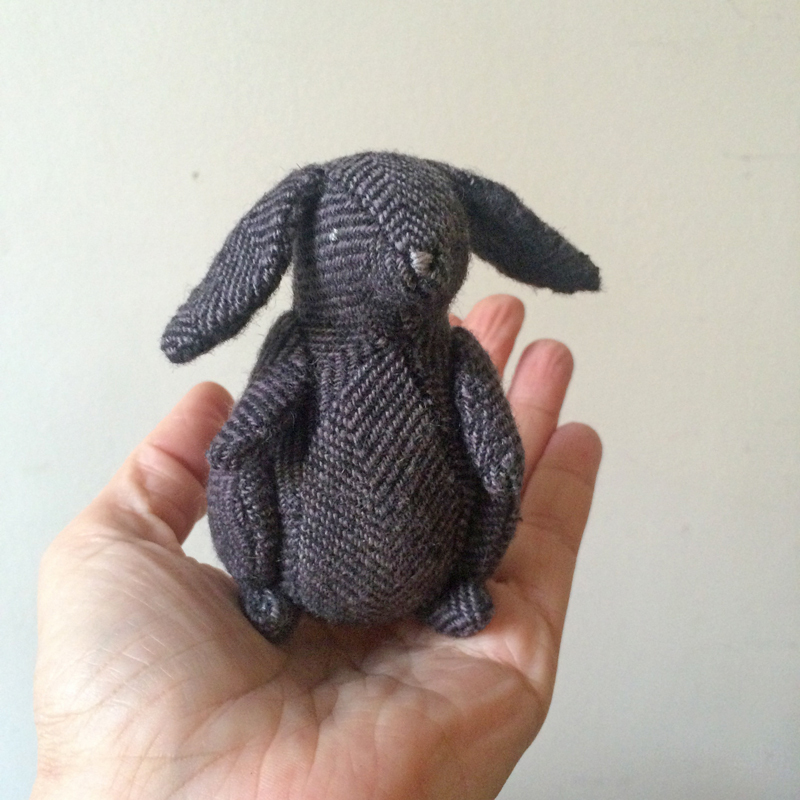 And if you’d like to be notified when new patterns are released you can sign up here. I’m so happy to finally publish this pattern! I hope you enjoy it. 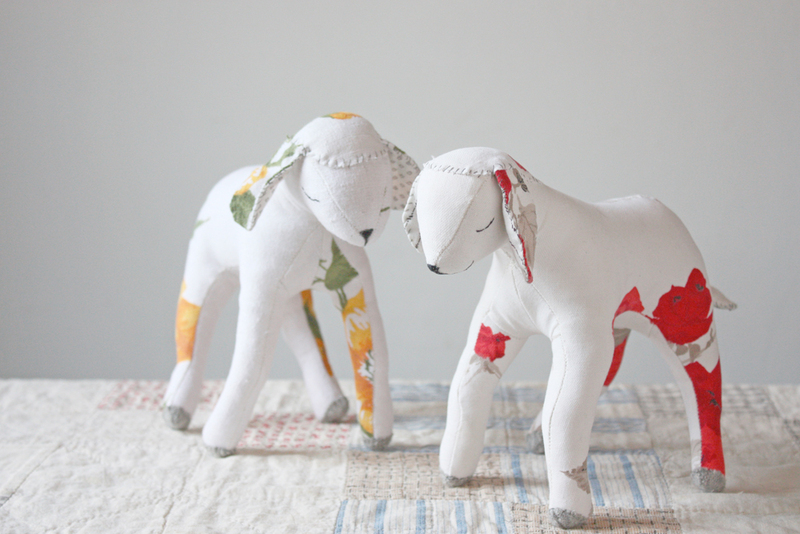 A dear little lamb and goat to sew. What’s cuter than baby lambs and goats – nothing- absolutely nothing. Skill level is advanced beginners and above – requiring basic hand and machine sewing experience. If you don’t have experience sewing 3 dimensional shapes this is an opportunity to learn about darts and gussets. There are tips along the way for beginners, and the instructions are very detailed. I hope you make lambs and goats! I feel like if you show up at a baby shower with your own handmade Smokey or Pearl you should be prepared to revive people – they are so sweet it’s almost too much. P.S. – I’m having a sample sale at the end of the week of some of the many prototypes I made along the way – check back for details. *Update – sorry for the delay – the sample sale will be up tomorrow – 4/30. *This is a long post and there are a lot of birds in it. I’ve been working on a pattern for my little birds and as I’m reaching the end of that long process of drafting and adjusting the pattern, shooting the steps, writing the instructions, testing the pattern, compiling the files and materials and resource lists etc., etc. I’ve been thinking a lot about my long history with these funny little fabric birds. Releasing this pattern feels like a big step in that history and involves some letting go. The things I make are a large part of my identity and that is maybe even a little more true of these earnest little birds. They came about sort of accidentally – it’s funny how one thing leads to another and strange things you could not invent occur. In the fall 2005 I happened into a ruined Edwardian gown. I wish I had a photo. It was in pieces and all of it too delicate and too fragile to even display. At the same time I was designing a holiday window for a shop on Orchard Street. The gown was shimmery and twinkly and I wanted to incorporate it. 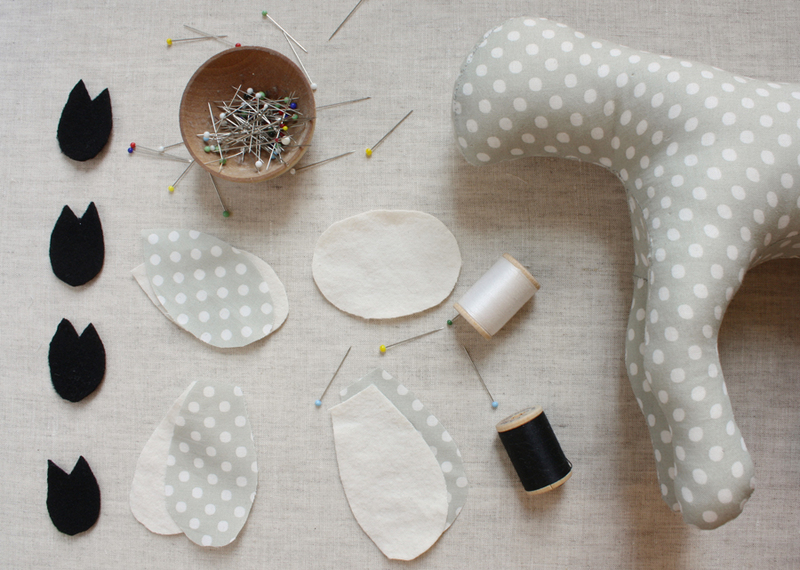 The featheriness of the fraying fabric suggested birds and I began to experiment with sewing a bird shape. I counted – I made 60 failures before I came to a shape that sort of worked. The first birds were fancy: miss haversham on the left and bertha whimsy emerson on the right. I hadn’t intended to sell them but people wanted to buy them so I did and then I made more.